Last week saw the sad news that Suni, a 34 year old northern white rhino, has died at Ol Pejeta Conservancy in Kenya. Although it looks likely that Suni died from natural causes, this news is all the more tragic because he was one of only seven remaining animals of his kind, and one of just two breeding males. This has effectively sealed the northern white rhinos' fate. With just one breeding male remaining, it is unlikely that the subspecies will be able to recover. Suni was the first northern white rhino to be born in captivity, and spent most of his life at Dvůr Králové Zoo in the Czech Republic. 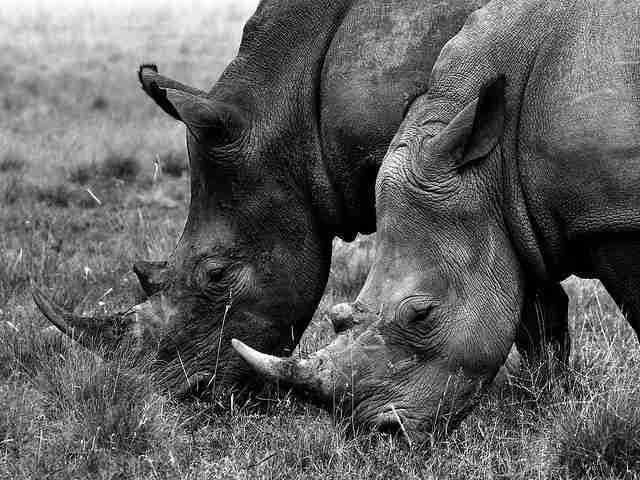 In 2009, Suni was moved to Ol Pejeta along with another male and two females as part of a program to try and preserve this subspecies which has been driven to the brink of extinction by habitat destruction and poaching, something Ol Pejeta staff described as "a sorry testament to the greed of the human race." 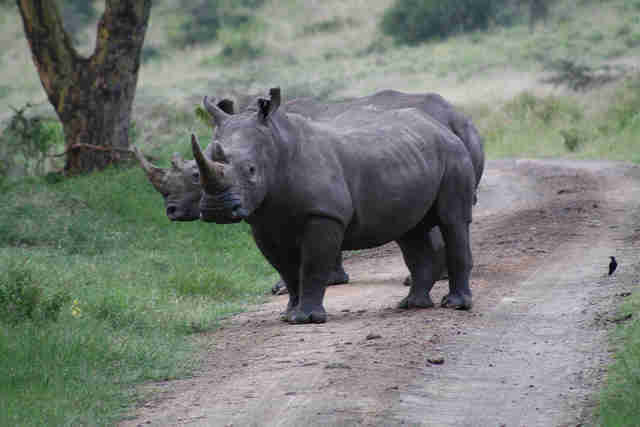 Ol Pejeta's rhinos are guarded day and night so poaching can be ruled out as a cause of death for Suni, but a post mortem will be carried out to try and determine why he died. 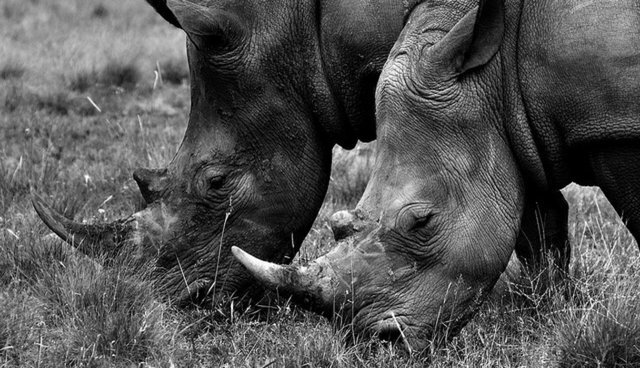 Rhinos are known to live into their 40s and 50s, although Suni's father also died in his mid 30s in captivity. Whatever the cause of death, this is a sad end to a breeding program that promised so much hope. Ol Pejeta have vowed to keep doing everything in their power to protect their final three animals in the hopes that a northern white rhino calf will one day be born in the wild. Although the future looks bleak for this subspecies, it is important to remember that these animals are distinct from the southern white rhino. This subspecies is faring better and, until recent years, was heralded as a success story of conservation with over 20,000 animals in the wild in 2010. However, this subspecies has also been subject to extreme poaching pressure over the last few years and is now categorized as Near Threatened on the IUCN Red List. There is a valuable lesson to be learned from Suni and others of his kind; one can only hope that humans will take heed of this before we have to say goodbye to another species. Rose Argall Rose works for Frontier, an international non-profit volunteering NGO. Frontier has over 300 dedicated conservation and community development projects as well as plenty of inspiring gap year ideas to help make your time out meaningful. For more information on all the opportunities available please visit www.frontier.ac.uk. Check out Frontier's blog ‘Into the Wild' where you can read more articles like this! Happy reading!Get more from us on social media with Facebook, Twitter, and Pinterest. See more from volunteers on YouTube, Flickr and Instagram #FrontierVolunteer.